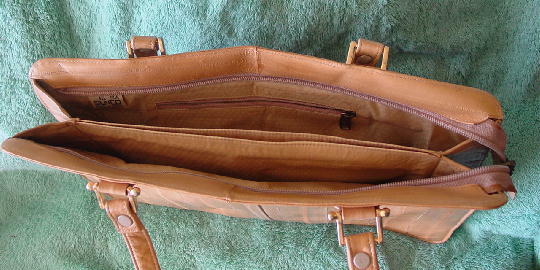 This vintage camel color eelskin purse is by Sunco and was made in Korea. 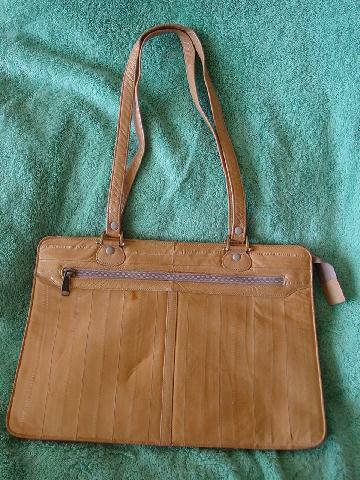 It has a top side to side zipper with three inteiror sections and a zippered large pocket. The fabric lining is a champagne-wheat color and has a pattern of tiny diamond shapes. 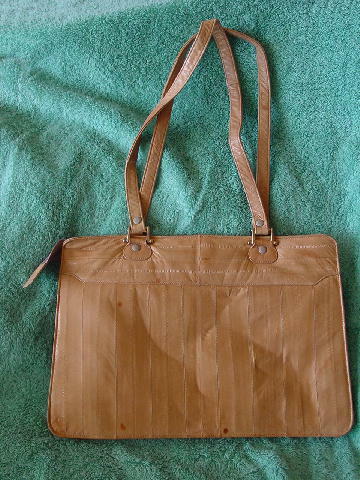 One exterior side has a large lined zippered compartment. There are two 24 1/4" by 5/8" eelskin straps.